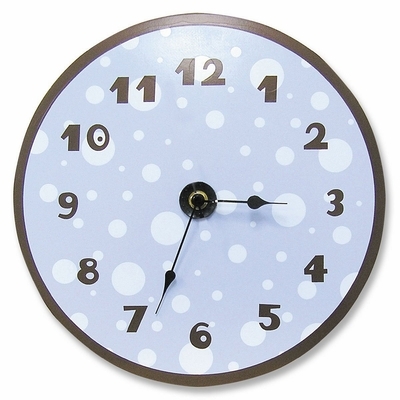 Add a little whimsy to your child's nursery or play area with our Trend Lab Polka Dot Wall Clock. Keep track of those night time feedings with this darling clock which features a blue tonal dot print with a brown border and numbers. Mounting hardware is attached to the back for easy hanging. Runs on one AA battery (not included). Measures 11" in diameter.